If there’s one thing about the world that we’re completely sure of, it’s that change is constant. We’ve seen fashion trends differ from the decades before today. We’ve seen our planet evolve from flat land and rising mountains to plain fields and tall buildings. But most of all, we’ve seen change in how we communicate to each other. We’ve gone through travelling to deliver a message, writing letters and calling through ancient telephones before finally getting to where we are now: the internet age. Everybody owns something that can connect to the internet, be it a smartphone or a laptop. If you need to reach out to someone across the world, no problem. If you need to send documents to someone important but you don’t want to leave the place you’re in right now, there’s e-mail. Despite the evolution of our form of communication, there’s one disadvantage that most people forget. Because the internet needs a constantly running system of connections and power to function, it’s very vulnerable to power outages or anything that can cause electronic disruption. Thus, in the event of a major disaster like a country-wide blackout, flooding or earthquake, even the cellphone’s signal will suffer. Towers will be rendered useless without power. In that situation, how will you contact anyone outside the disaster area? How will you know where to go and what’s happening outside? This is where the amateur radio comes in. When any common form of communication fails, when your phone can’t find signal, when the internet is overloaded, the amateur radio is what will save the day. Also called the “ham radio,” this form of communication functions by using the radio frequency spectrum. It covers a significant distance to the point that some transmissions can even allow you to talk to astronauts on the International Space Station. The wide range of possibilities that you can do with amateur radio has allowed it to invade several aspects of the society including education and disaster aid. It also functions as something like a social media as it allows people to communicate with each other no matter where they are. The people who use amateur radio (“hams”) come from a large variety of background like doctors, kids, teachers, truck drivers and maybe even the person next door. Because of its casual nature, most people consider amateur radio as a hobby. But the unsaid part of history reveals that amateur radio is more than that. For example, the Amateur Radio Service aided communications when 9/11 and hurricane Katrina happened because of its ability to provide communication even in the worst conditions. The “amateur” part of amateur radio is perhaps the best thing about it. Amateur radio operators do what they do without commercial intent, meaning that they volunteer to do it without expecting to be paid. Another important facet of the amateur radio is the DXers or amateur radio operators who specialize in making two-way radio contact with other amateurs in distant places. Amateur radio is represented and coordinated by the International Amateur Radio Union, which can also be referred to as the headquarters. HOW CAN YOU BE PART OF THE AMATEUR RADIO SERVICE? While anyone and everyone can be part of the amateur radio service, the Federal Communications Commission (FCC) recognizes its potential and thus seeks to expand its pool of experts who can give a helping hand during emergency situations in any condition be it an earthquake, tsunami or a hurricane. This means that to be part of the amateur radio service, you will need a license. Another reason why you need to have a license is because radio waves go well beyond a country’s borders which instantly makes an international concern. Radio also has potentially clandestine uses which could place national security at risk if used by the wrong people. In some countries, you will only be allowed to purchase amateur radio equipment is if you have a license. In others, your license may only be valid in that area and you will be required to get another if you want to move to another country. Requirements for amateur radio licensing and the privileges that come with it vary from country to country though there is one thing that all countries ask for. Every aspiring amateur radio operator must display technical knowledge and understanding of the basic concepts. This is done and verified through an exam. Countries also require operators to know the rules and regulations lest they accidentally do something illegal like leaking classified information. In some countries, they are required to display hands-on experience through a practical exam. Once you’re licensed, you will be oriented on the different privileges attached to your success. You can be granted longer distance coverage, more power, permitted experimentation and better frequency ability. HOW DO YOU COMMUNICATE OVER AMATEUR RADIO? One of the best things about amateur radio is its flexibility. Many amateur radio operators utilize different modes of communication, partly because of the need to be prepared for anything including audio failure. While most use their voices to communicate over amplitude modulation (AM), frequency modulation (FM) or Single Sideband (SSB), others have found ways to communicate. Aside from voice, amateur radio operators use text, images and data. They can send images through television and text through a digital medium such as a computer. One of the most interesting ways that amateur radio operators communicate is through Morse code. Its usefulness is still very popular and at one point, a basic knowledge of Morse code is required for licensing. Other forms of communication include Packet, Radio Teletype or what’s commonly known as Ritty, and PSK. The International Telecommunication Union (ITU) is the agency that handles the frequency allocations and determines which bands are open for use depending on where you are and what you intend to do over the frequency. Their job is important as it ensures that other radio services within or outside the country do suffer interference. The American Radio Relay League’s (ARRL) “The FCC Rule Book” provides a comprehensive and in-depth information about the frequency allocations. DXing is one of the most popular “departments” of amateur radio. While other focus on using their license to help educate people or simply talk to others, DXers make it a hobby to try to listen and connect distant stations. In this case, these locations are may be from one country to another. The activity was named as such because of its nature. “D” refers to distance and “X” means the unknown. The practice and interest of DXing actually stems from the early days of radio broadcasting. When listeners believe that they just heard a broadcast from a distant location, they write reception reports (now known as the Signal, Interference, Noise, Propagation and Overall merit report or simply, SINPO report) and send it to different broadcasters in hopes of getting a verification that the broadcast they heard was real. The certificate they receive back from the broadcaster is called QSL cards and it confirms the listener’s reception report. Collecting the cards were also used by the broadcasters themselves when they want to study the effectiveness of their transmissions. The importance of DXing stems from the fact that it allows you to listen to broadcasts from far beyond your own country. DXing allows you to connect with the outside world without the help of a satellite or the internet which can be very challenging and the prime reason why it’s a popular hobby among amateur radio operators. 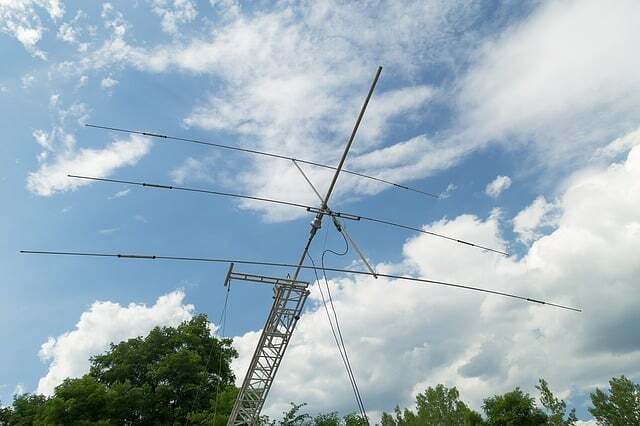 Amateur radio operators who focus on DXing are called “DXers.” Because of the challenging nature of DXing, some clubs and organizations award certificates to those who are successful in connecting to a remote area in the world. For example, the ARRL offers the DX Century Club (DXCC) award for DXers who worked to confirm at least 100 broadcasters on the ARRL DXCC List. To make it more interesting, amateurs have mounted DXpeditions to areas with no permanent base of amateur radio operators. If you want to try and be DXer, there are several things that you have to know. First, attentive listening is a skill that you will need. Being a DXer means that you will need to surf through the band and look for frequencies that fade in or out, or something that is disguised by loud static. You need to pay attention to the tiny details and you need to be familiar enough with the radio to pinpoint whether or not the frequency exists locally. The best location to grab a radio and try to listen for far away frequencies is to go out to a body of water, preferably the beach. This is because the body of water helps pull in radio signals. The location also draws you away from background noises that will hinder your listening. DXing is also directional in such a way that however you hold or the orientation of your radio can make a difference. The weather can also affect DXing and most DXers found that it’s best to do it at night. To keep up with what’s happening in the DX world and to find out about contests and rewards for a little bit of motivation, you can tune in to the DXNews. It gives you information on breaking news and a calendar that lets you know the activities of other DXers and DXpeditions. Amateur radio may seem like a hobby wherein you sit down all day and listen to the radio. But in actuality, this hobby has saved many lives as it allows people to communicate with each other in the face of the lack of power or internet. Amateur radio provides the necessary link between disaster areas and responders as it makes it easier for them to know where the victims are and what to expect so rescuers don’t go in unprepared. This hobby is something that you might want to look into especially if you want to properly prepare for critical situations. Do You Prepare in Fear? Orientation of the radio makes no difference at all. It’s all about the antenna type and orientation. You won’t hear anything at all with just a radio, unless it’s local 2M or 70 cm bands.